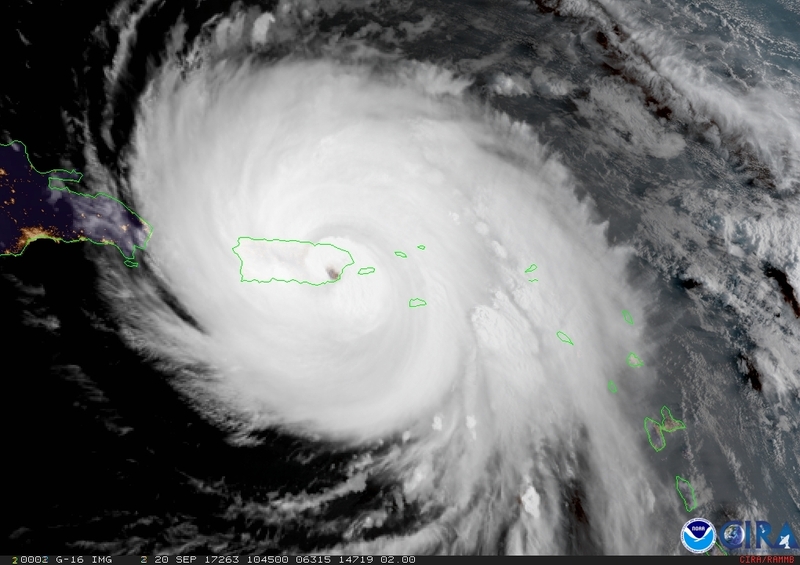 This GOES-16 geocolor image was captured as Category 4 Hurricane Maria made landfall near Yabucoa, Puerto Rico, around 6:15 a.m. EDT on September 20, 2017. Maria knocked out radar on the island just before Maria made landfall. With this critical technology disabled and a major hurricane approaching, forecasters were able to utilize data from NOAA’s latest geostationary satellite, GOES-16, to track the storm in real-time.